A lot will change in Hottingen in the next few years, with the new Dolder Waldhaus set to reopen to the public following its renovation. The closure of the old hotel will then be a distant memory, with the former 1970s building replaced by a new, innovative design that is expected to create new opportunities for Hottingen’s residents. Until the mid-19th century, Hottingen was a rural suburb of Zurich dotted with farms and the occasional elegant country residence. The Römer family and their farmstead later gave their name to the district’s main square. Hottingen eventually succumbed to the increasing urbanisation of the area and the accompanying population growth, and the traditional, largely agricultural population was joined by a new urban class who lived in Hottingen, but worked elsewhere. The time was ripe to join the city. Hottingen was incorporated into Greater Zurich in 1893, together with a number of other suburbs – and so this small farmers’ village became a chic, bustling city district. In the same year, a private tram line was built to connect Bellevue with Römerhofplatz. 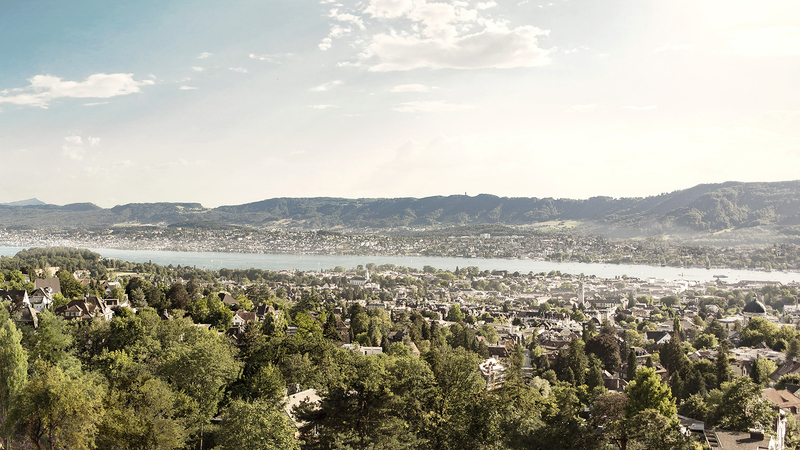 Future hotel guests will not be the only ones to cast their gaze over Zurich, the lake and the Alps; local residents will be able to take in spectacular panoramas from a public viewing platform. There are also plans to build a restaurant with a raised terrace for day-trippers, where travellers and locals will be able to meet over a relaxed aperitif in the adjoining bar. The wide network of hiking trails on the hotel’s doorstep will give guests and residents endless opportunities to exercise in the adjacent forest park. Finally, there will also be improvements to pedestrian routes for the district’s residents. A public footpath will soon lead from the Dolder Railway station to Pilatusstrasse, offering brand new views around the Dolder Waldhaus. The Dolder Waldhaus’ exceptional location nestled between city and nature makes it an inviting place to linger a while. This historic spot is set to become a popular meeting place and day trip destination – for travellers, neighbours and friends.